The ModTone MT-VOL Xcelerator Volume Pedal features a long taper parametric potentiometer that lets you ad just a dash of volume dip all the way to complete signal shutoff. With the variable range setting it allows you to back off a little on rhythm and crank it up for leads, emulate a sweeping tremolo or utilize the aux output section for line out to a tuner or use both at unity for a stereo splitter when using two amps. 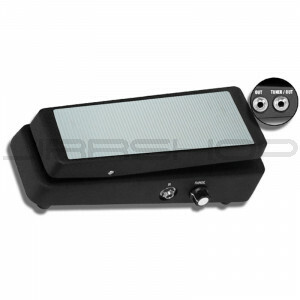 The Xcelerator Volume pedal is much more than your average volume pedal!